Today we’re celebrating Thanksgiving in Canada. So this post is all about giving and saying thanks. This is a time of year when we get together with family and friends to share a meal and recognize all that we are thankful for. It’s also a time when I acknowledge that while I have a lot to be personally thankful for and my Thanksgiving table will be bountiful, there are so many individuals and families struggling to survive. So it was fitting that I found out about a great initiative developed by Canadian Feed The Children (CFTC). 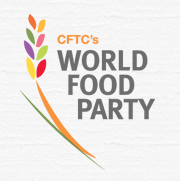 By organizing the World Food Party, CFTC is raising awareness of and funds for the alleviation of world hunger. Through the CFTC’s Virtual Food Party, individuals, groups and organizations across Canada are hosting food-related events in recognition of UN World Food Day (October 16th, 2011) and donating the funds raised to CFTC’s nutrition, health and food security programs in Canada and around the world. But it’s not just a time of year to give thanks, it’s also a great time to think about how you plan to say thanks – to your donors, volunteers and your community at large – for their efforts this year. "Thank you." Your success rests on these words. Take them seriously, live and breathe them, make them the first item on every list, put them on a special plaque, set them to music, and tattoo them on your heart. Then ask yourself, "Do I thank our loving supporters enough?" But don’t stop with your donors. What about thanking all of your wonderful volunteers? What about your partners or suppliers? He offers some suggestions for how to “knock [the] socks off” your supporters with personalized thank-you’s. It’s the season to give thanks as well as planning for a wholesale thank-a-thon for all of the support and efforts your community has provided this year. 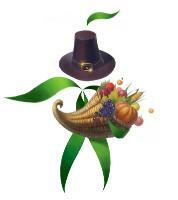 To those of you in Canada – Happy Thanksgiving!